An illustrious Nakuru businessman abducted on 1 December, 2017 on his way home from work was murdered by his wife through guns for hire, a Nakuru court heard. 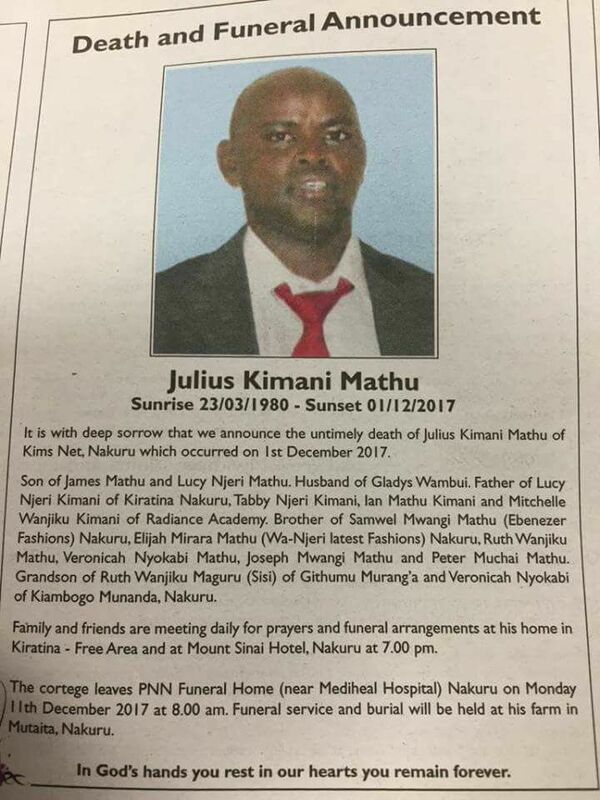 Julius Kimani Mathu of Kim Net was making his way home at around 12.20 am on the said day; and his lifeless body discovered the next day by his brothers at a cemetery in Nakuru. He had a deep cut on his head, the brothers said. Investigations into the murder showed that the deceased’s wife, Gladys Wambui was indeed behind his (Mathu) death. 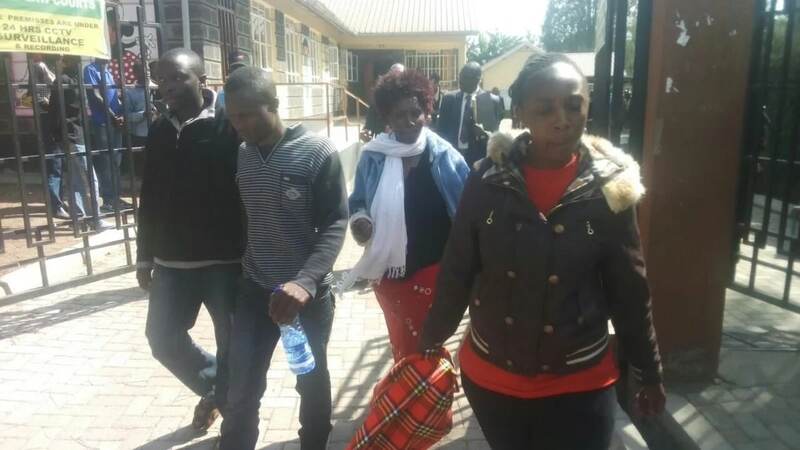 It is said that she paid three people; Rahab Mukenyi an employee of the couple, Alex Muhonja and James Mwaura Sh1.2 million to get rid of the businessman. The police are in possession of evidence that includes numerous telephone call records, detailed CCTV clips and confession statements. The four together with the widow were on Tuesday, 2 January 2018 arraigned in court after being in custody since Thursday, 28 December. They did not take a plea but will remain in custody for 14 more days until investigations are complete. The case will be heard on January, 17. Previous article Is SportPesa Withdrawal From Local Sport Sponsorships A Move To Blackmail The Government? Is SportPesa Withdrawal From Local Sport Sponsorships A Move To Blackmail The Government?